The newest and most advanced teaching platform in the industry! Yes we are talking about the Panaboard UB-T880W interactive board, the huge 83” screen with its advance multi finger input touch screen that has no parallel. This Panaboard utilises the use of special features to deliver the most user friendly interface to interact with it, coupled with peripherals that make your presentation stand out and make a profound impact on your audience. 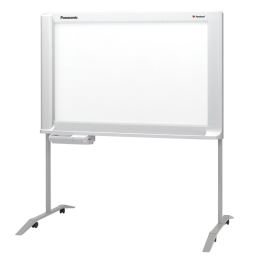 Teachers and business-men have shown us how the board enables them to outperform their competition when it comes to presenting new concepts or business ideas to their audience and how much interactive the experience becomes because of all the features UB-T880W has to offer. Not only does it allow a user to present their ideas, but it acts as a canvas to interact with your presentation in real time, highlighting details or changing parts of your presentation on spot, making the audience better understand what you are trying to deliver, all with the help of a single electronic pen, made especially for the board. 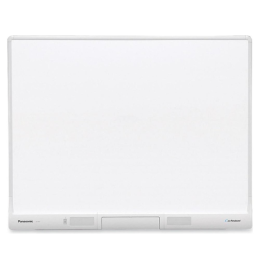 Having the ability to display in today’s era does half the job, so the Panaboard UB-T880W Interactive Whiteboard comes with built in stereo speakers that allow you to play videos in your presentations and make the environment more lively and interactive! Furthermore, the software integrated into the board is one of a kind made specifically keeping in mind a presenter’s need. The software allows you to save and edit presentations on the board eliminating the need to reopen your computer and readjust the presentation. Another great feature of the Panaboard UB-T880W is that it allows you to have video conferences with anyone across the globe, which allows for many people to take part in as the wide screen enables everyone to see and interact using the microphone and other useful software tools specially designed to deliver a smooth experience. All in all the Panaboard UB-T880W is an investment that has instant returns, that make your work stand out from the crowd, giving you the confidence to deliver your ideas in a bold and professional manner.Teachers and business-men have shown us how the board enables them to outperform their competition when it comes to presenting new concepts or business ideas to their audience and how much interactive the experience becomes because of all the features the board has to offer. Not only does it allow a user to present their ideas, but it acts as a canvas to interact with your presentation in real time, highlighting details or changing parts of your presentation on spot, making the audience better understand what you are trying to deliver, all with the help of a single electronic pen, made especially for the board. 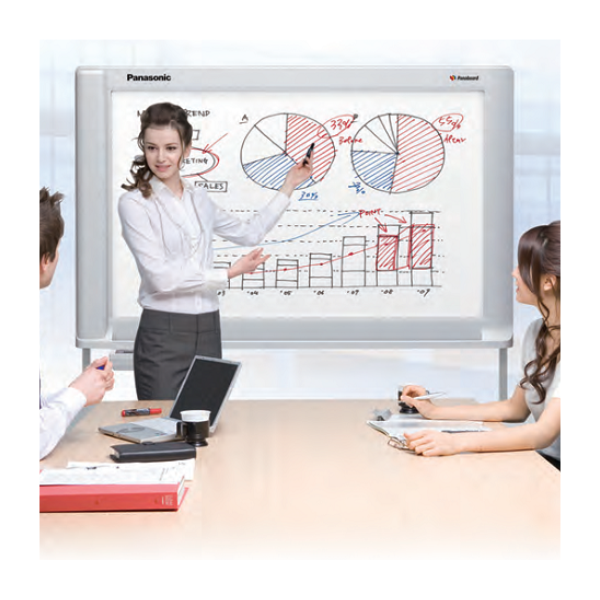 Having the ability to display in today’s era does half the job, so the Panaboard UB-T880W Interactive Whiteboard comes with built in stereo speakers that allow you to play videos in your presentations and make the environment more lively and interactive! Along with this, the software integrated into the board is one of a kind made specifically keeping in mind a presenter’s need. The software allows you to save and edit presentations on the board eliminating the need to reopen your computer and readjust the presentation. Another great feature of the Panaboard UB-T880W is that it allows you to have video conferences with anyone across the globe, which allows for many people to take part in as the wide screen enables everyone to see and interact using the microphone and other useful software tools specially designed to deliver a smooth experience. All in all the Panaboard UB-T880W is an investment that has instant returns, that make your work stand out from the crowd, giving you the confidence to deliver your ideas in a bold and professional manner.